Planswell is a robo-advisor in Canada offering everyday Canadians access to professional portfolio management at a much lower fee than traditional wealth managers. 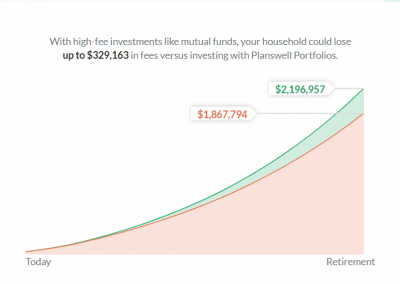 However, unlike the typical robo-advisor which mainly focuses on money management, Planswell does a bit more. Thinking about your investing, insurance, and mortgage? Think Planswell! They offer all these services and more in a simplified and holistic way that starts with you creating a customized financial plan. Canadians are increasingly interested in robo-advisors, and the reasons are not far-fetched. The average investor is starting to understand the toll that high mutual fund fees are having on their long-term returns. Because majority do not have the knowledge or confidence to take complete charge of their investment portfolio, robo-advisors are the sensible alternative. Robo-advisors like Planswell have carved a middle-point between DIY investing and traditional active fund management. They simplify your investing, charge much lower fees, and offer potentially higher returns in the long run. This is based on assessing several factors including Management Fees, Account Minimum, Investment Options, Value For Money, Ease of Use, Customer Support Options, and Referral program. 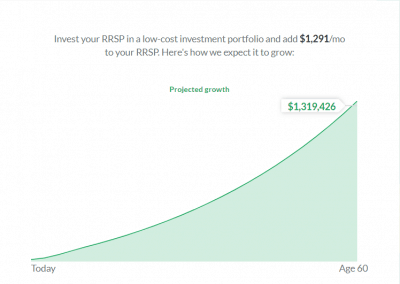 Planswell is one of Canada’s leading digital financial planners (robo-advisor). To get readers of Savvy New Canadians started on their investment journey, they are offering to manage your first $20,000 FREE of charge! Planswell: What Makes Them Different? Planswell – What Are the Fees? Planswell is a Canadian fin-tech company that was founded in 2016 by its current President and CEO, Eric Arnold. In addition to Eric, the team at Planswell bring solid financial and technical credentials to the table, with professional designations such as the CFA, CA, CPA, PFP, CFP, CIM, LLQP, and several others in the field of mathematics, economics, computer science and business. Early on, Planswell made its mark by differentiating themselves from the typical robo-advisor template i.e. just managing investment portfolios. They not only provide investment services, but also insurance and mortgages. Their investment services are offered via Planswell Portfolios, insurance is via Planswell Insurance Services, and mortgages are offered through Planswell Mortgage Services. All these services are integrated under the umbrella of their core service offering which is – individualized financial planning. Earlier this year, the company disclosed that they created over 17,000 financial plans during their first year in operation and they also received $6.8 million in seed money from investors. ⇒ PROMO: Canada’s most popular robo-advisor, Wealthsimple, is offering my readers a special offer to invest up to $10,000 FREE for one year. Yeah, that’s right! Zero Fees ($0) for 1 full year. 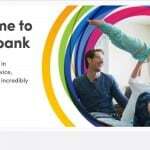 Open an account here today! Opening an account with Planswell is easy and it starts with creating a free financial plan which takes about 3 minutes or so. Step 1: Visit Planswell via this link. Build your plan by answering between 30-40 easy questions. Step 2: Their automated system will carry out millions of computations on the back-end and then show you a full financial plan that’s customized to meet your financial goals. You will get specific suggestions on how much to invest per month in your account (e.g. RRSP, TFSA…), insurance options(term life, critical illness, and disability insurance), and mortgage if they find cheaper alternatives that will save you money. 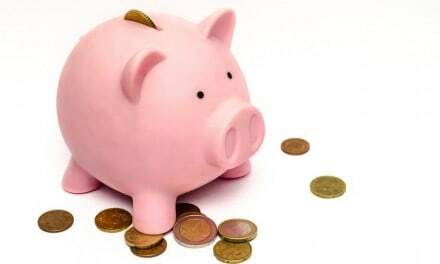 If you are carrying other debt including credit cards and line of credit, you will be provided with debt solutions to help you pay off your high-interest debt faster, while minimizing interest costs. If you have any questions regarding your financial plan, support is always available. Step 3: Proceed to implement your financial plan. This includes designing your portfolio, opening your accounts, and funding them. Planswell is very proud of their innovative financial planning software and they are applying to patent it in both Canada and the U.S. When people have to choose between businesses that offer a similar service or product, their default question is: “How is your service/product any different?” As mentioned earlier, Planswell differentiates themselves by giving you one main platform to address your investing, borrowing, and insurance needs. 1. Investing: They tell you how much to contribute each month to get to your financial goals. 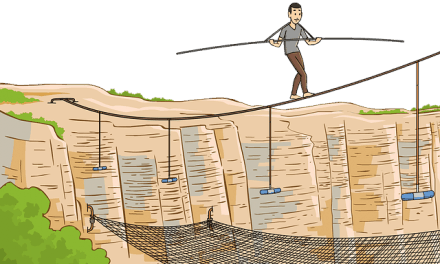 Wondering how your financial plans would fare if the market goes up or down? The good folks at Planswell (and their bespoke financial planning software) will tell you how to adjust your monthly contributions to ensure your plan stays on track. 2. Insurance: They have got you covered when it comes to choosing between insurance options. For instance, let’s say you and your spouse both make $100,000 per year. A traditional insurance agent might recommend $1 million of life insurance for each of you. However, at Planswell, their engine looks at how each of you will actually invest any future insurance proceeds. So if you tend to invest in all equities and earn 10% per year, maybe $1 million is enough insurance for you. But if your spouse is more conservative and prefers a balanced portfolio that will only earn 5% per year, she would need twice as much insurance to sustain her lifestyle. These subtleties are not apparent without a truly integrated plan. 3. Borrowing: Investing is great. 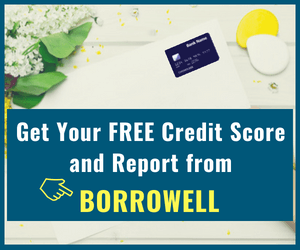 However, if you are carrying a credit card and other debt, it makes sense to take a broad look at your finances to determine how best to proceed. 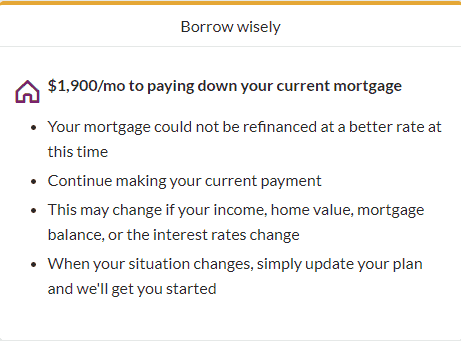 What would happen if you first paid off high-interest debt? 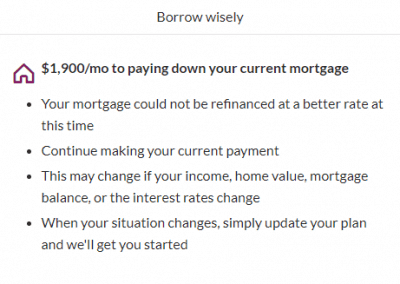 Are there options to refinance your debts at a lower interest rate? The full financial plan you get when you sign-up includes borrowing solutions that meet your specific needs. 4. All-Round Solution: When we think about our finances, we tend to compartmentalize i.e. we think of investments, insurance, mortgage, debt, and so on as separate plans that are not really connected to each other. However, this is not the best approach to financial planning. Planswell helps you put them all into perspective and as one portfolio that can be managed within your financial plan. 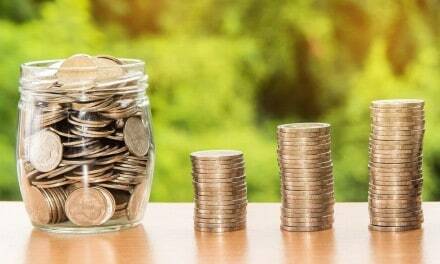 Financial Planning and Updates: After getting a full financial plan from the comfort of your home when you open an account, it does not end there. Planswell will remind you to update your plan every 6 months to ensure that it stays relevant in meeting your financial needs. Lower Cost: Like any other robo-advisor, investing with Planswell will cost you less than traditional mutual funds sold by your bank. These savings in fees go a long way to improve your portfolio returns over time. Safety: Your personal information is protected using bank-level encryption to protect your privacy. Your funds are held with a third-party custodian (BBS Securities Inc.) which is insured by the Canadian Investor Protection Fund (CIPF). In addition, BBS Securities is insured by Lloyd’s of London with coverage up to $10 million per account. Referral Program: When you refer a friend to Planswell, both of you will receive a $200 Amazon gift card when they implement their plan. First $5,000: free management for 1 year. With our promo link, you get up to $20,000 managed FREE for 1 year. For example, if you invest $20,000 today based on our promotional rate, you can expect to pay $0 for the first year of investing with them. In year 2, a $20,000 portfolio will incur a minimal $100 in fees for the year. In addition to the standard management fees above, the ETF companies that provide the ETFs that make up your portfolio charge an average MER of 0.17% per year. This cost is factored into the prices of the ETFs. Planswell does not charge any fees for withdrawals, trading, or account re-balancing. The pricing structure for Planswell and Wealthsimple are very similar. For account balances below $100K, you pay 0.50% in annual management fees and 0.40% for portfolios that exceed $100K. However, Wealthsimple has a lot more features including their innovative “Roundup” feature that allows you to automatically invest your spare change. They also have “Overflow,” which allows you to decide how much you want to keep in your chequing account. Once a month, they automatically check your account and any extra cash you are not needing is automatically moved to your Wealthsimple investing or savings account! Recently, Wealthsimple also introduced Wealthsimple Trade, a service that allows you to buy and sell stocks and ETFs for $0! Fees are not the only factor you should consider when choosing between robo-advisors. 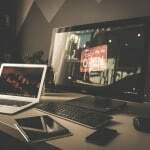 You should look closely at the full package being offered, including financial planning, credibility, customer support, portfolio options, and much more. Planswell offers an interesting approach where they provide you with a financial plan that not only looks at your investing needs but also takes your insurance and borrowing into consideration as well. 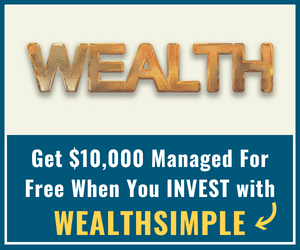 If you are interested in what other Canadian robo-advisors are offering, you can read my detailed reviews on Wealthsimple (invest $10,000 FREE), Nest Wealth, and Questwealth Portfolios. 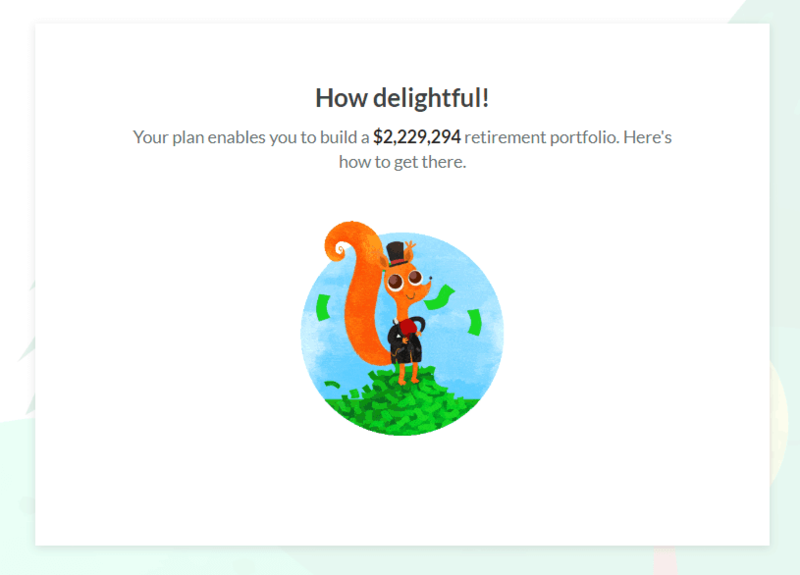 Planswell is a robo-advisor offering Canadians investing, insurance, and mortgage services that are based on a personalized and free financial plan which is built for you when you open an account. 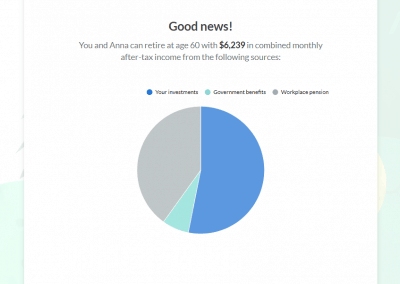 Their financial planning software is considered to be the first of its kind in the world. Great review, really insightful! 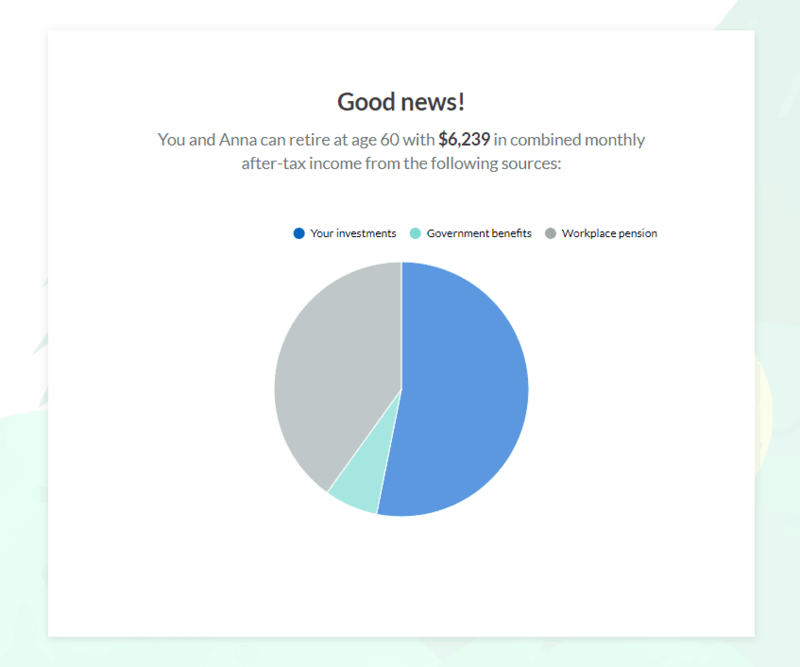 I just started using planswell.com personally and so far I’m loving the experience, would definitely recommend to anyone looking to tackle personal financial planning. @Kritian B: Great to hear you are enjoying Planswell’s financial planning and investing service. And, thanks for stopping by! 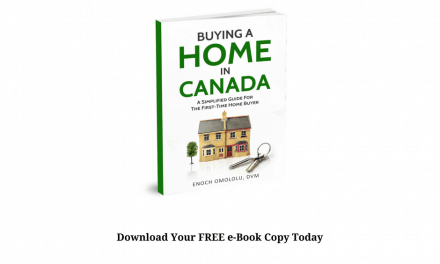 Is the 200.00 referral still valid for Canadians? How can I get a referral since I don’t see this advertised anywhere?